If you were the proud owner of the right type of Tulip bulb in the 17th century, you were able to trade that one specific bulb for an entire house located in the city center of Amsterdam. 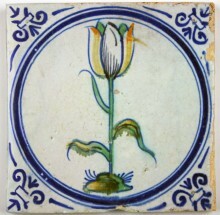 No wonder that tulips and many other type of flowers and fruits were often depicted on Delft tiles during the Golden Age. 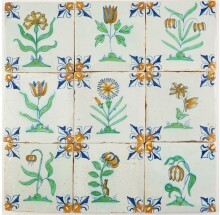 These type of tiles come in a wide variety and in the most beautiful colors. 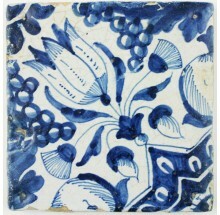 Make sure to check out our Delft wall tiles tiles and murals with flower vases in this category as well. 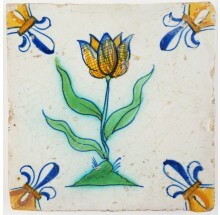 If you have any questions about Delft tiles depicting tulips, please do not hesitate to contact us. Click here to visit our contact page.